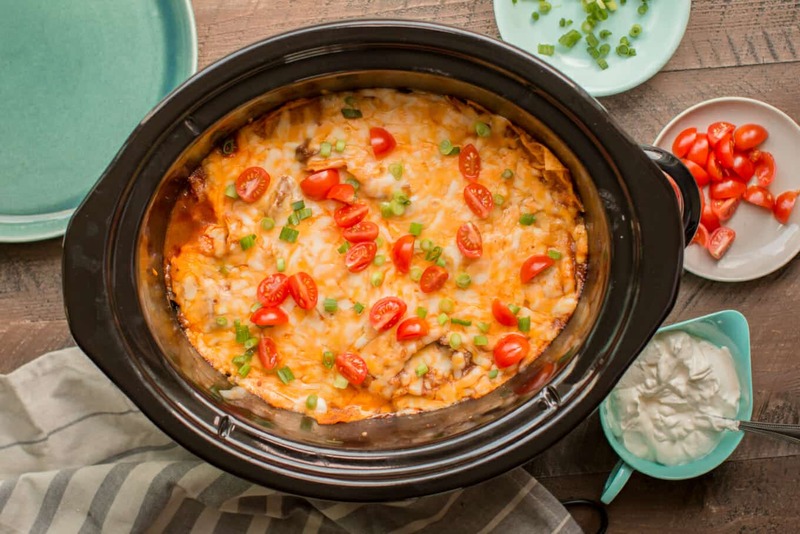 If you love one pot meals then you will love this easy Slow Cooker Beef Enchilada Casserole! Hello! 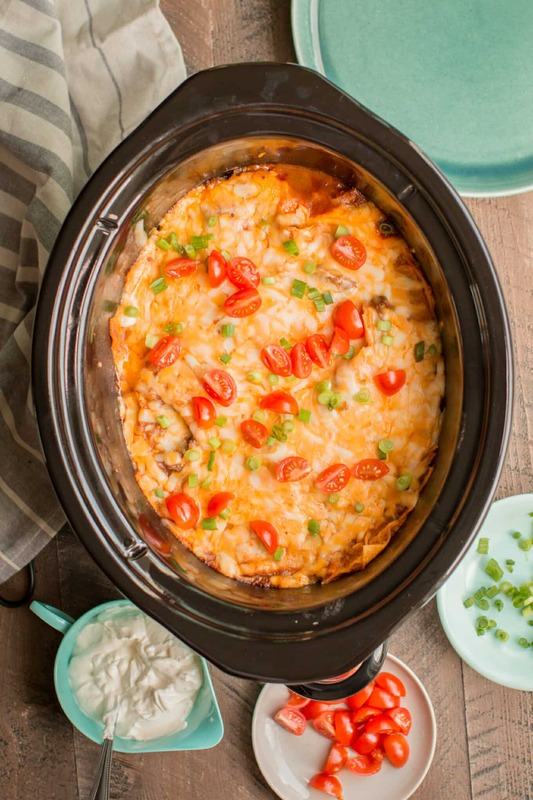 This Slow Cooker Beef Enchilada Casserole is very similar to my chicken enchilada casserole. Instead of just using enchilada sauce for the base in the recipe I used salsa as well. Beef cooked together with salsa is magical, I learned that with my slow cooker steak burritos recipe. To make this recipe the beef, sauce and seasoning cook for 8 hours first. Then I cut up soft corn tortillas. 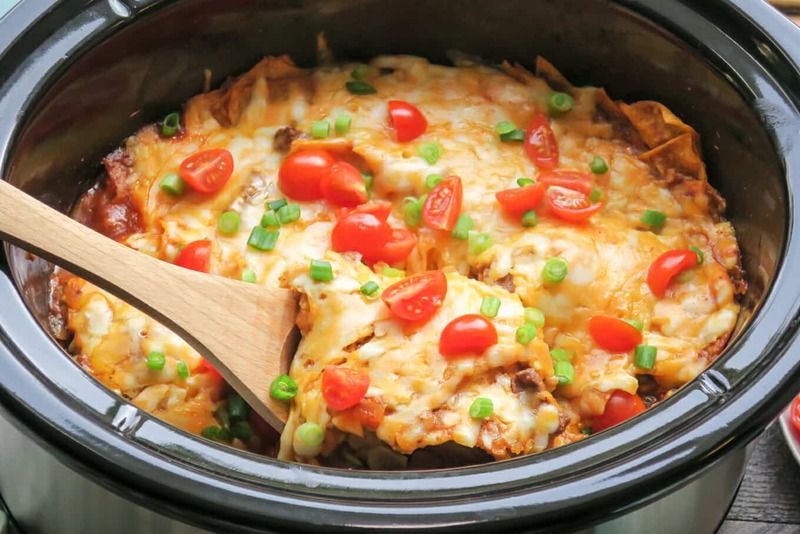 I stir in those tortillas and a cup of cheese, then flatten out the casserole and top with more cheese. The casserole cooks for 30 minutes longer to get everything hot and bubbly. Some will ask why I didn’t fry the tortillas. Frying the tortillas is not necessary in a enchilada casserole recipe. I like the texture of the tortillas in this. When I worked at Marie Callender’s, for the Sunday brunch they had a enchilada casserole, I never missed it. This recipe is very similar to their recipe. Here is my YouTube video of the making of this meal, it really helps to show how and when to assemble the casserole. You can follow me on YouTube, here. I hope you enjoy this new recipe and have a great week. An easy one pot meal! Beef cooks with the sauce all day, then the casserole is put together and cooked a bit longer. Add the beef to the slow cooker. Add the enchilada sauce, salsa, green chiles, garlic, onion, chili powder, cumin and pepper. Stir. When the cooking time is done. Cut the corn tortillas into strips, add to the slow cooker along with 1 cup of the cheese and half of the green onions. Stir and flatten out with a spatula. Sprinkle over remaining cheese. 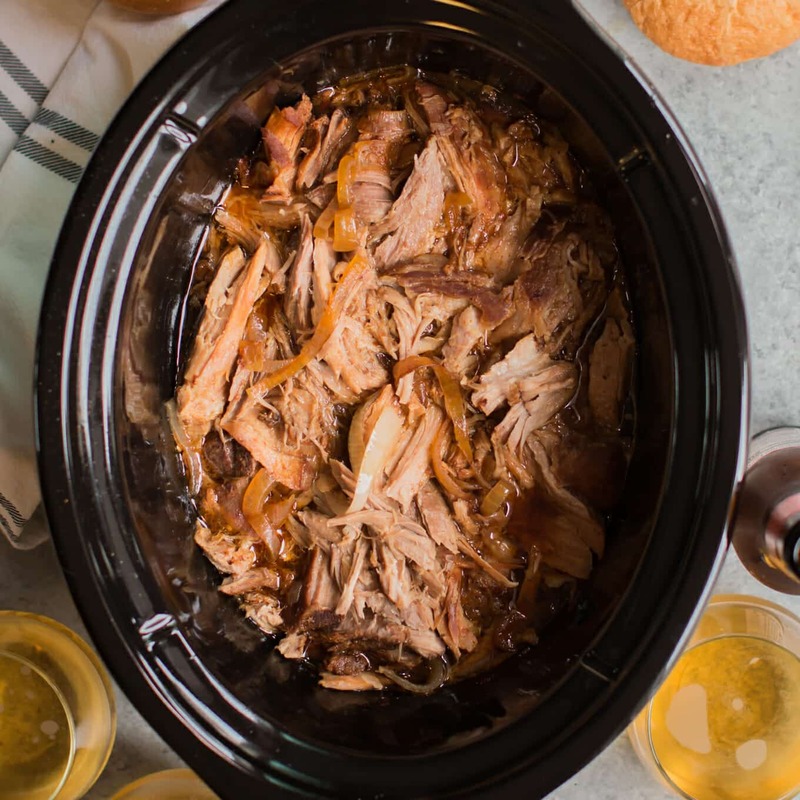 Add the lid back on the slow cooker and continue cooking for 30 more minutes on high. Sprinkle with remaining green onion and tomatoes. 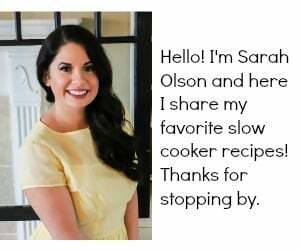 I used my 6-quart Crock Pot for this recipe. Hi! How would I alter the timing to work with an Instant Pot? Thanks!! Maybe a reader will be able to help! 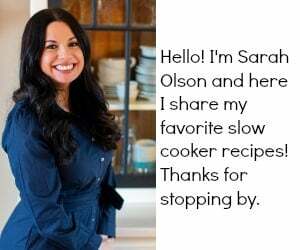 I only use slow cookers. 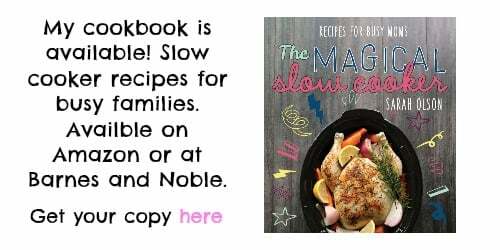 Kim – The Instant Pot has a slow cooker. You may need to cook this on a day off. You also may need to look at your recipe book. I’m sorry that I’m not more of a help! Good luck. Would you let me know how it comes out? Thank you! I’ve been wanting the Instant Pot for a while now. There was such liquid already in this that I did it in the instant pot without changing anything other than times, if worried add 1/2 c water. I used frozen beef so first ingrediants on pressure cook for 45 min with natural release. Then mixed in cheese, tortillas etc and pressure cooked for 0 min with 10min quick release. Turned out fantastic! Thank you! 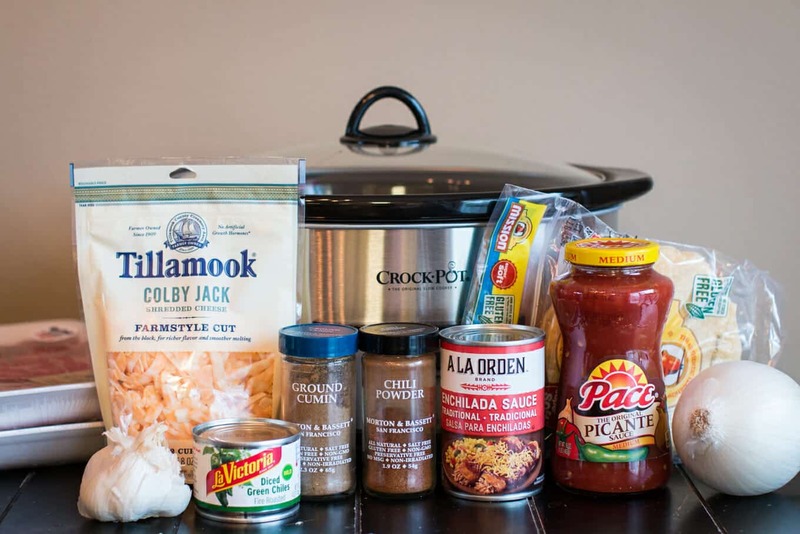 Will you clarify how long you cook it once you add the cheese, tortillas, et al? I assume you didn’t actually mean “0 minutes”. It says 30 minutes on my end. I believe she meant 0 minutes in the instant pot under pressure which is a setting. Hi. Could I use ground beef? 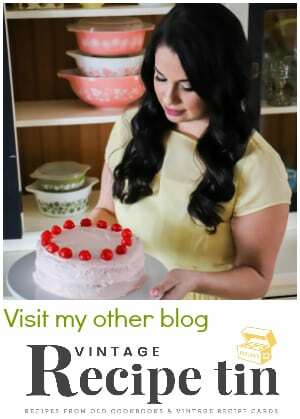 Are your recipes keto or paleo by chance? No they are not! I apologize! Hi – can I use jalapeños instead of green chilis – which are hard to come about ind Denmark? Yes! That will work fine. This is embarrassing to ask but what would “beef stew meat” be at Tom Thumb? A particular cut I am guessing but not sure what I would look for over in the meat section. Thanks! You should see it straight away. It’s cubes of beef. If you can’t find it, you can cut up any roast into cubes and use in this recipe. could you use ground beef instead of stew meat? THIS SOUNDS DELICIOUS, OUR FAMILY EATS GROUND TURKEY INSTEAD OF BEEF, HOW LONG WOULD I COOK IT FOR GROUND TURKEY? You have the name I nutritional acts attached but it doesn’t say what a serving size is. What is a serving size? On the top of the recipe card it says how many servings. For this recipe the serving size is 1/8 of the recipe. I have the same question as a few above… could you use ground beef instead? And if so, would that call for any modifications? Oops, also if you need to double this, what would be your recommendations (4 growing teenage boys!)? Hi Rebekah I think ground beef would work fine. I would cook for 6 hours on low. I don’t know how it would work being doubled or if it would fit. I do suggest maybe serving with Mexican rice and refried beans, then there will be plenty! Would i cook the ground beef before i put in slow cooker? I would, and drain the fat. Any idea how well this would freeze for future meal? Did anyone use chicken instead of beef ? 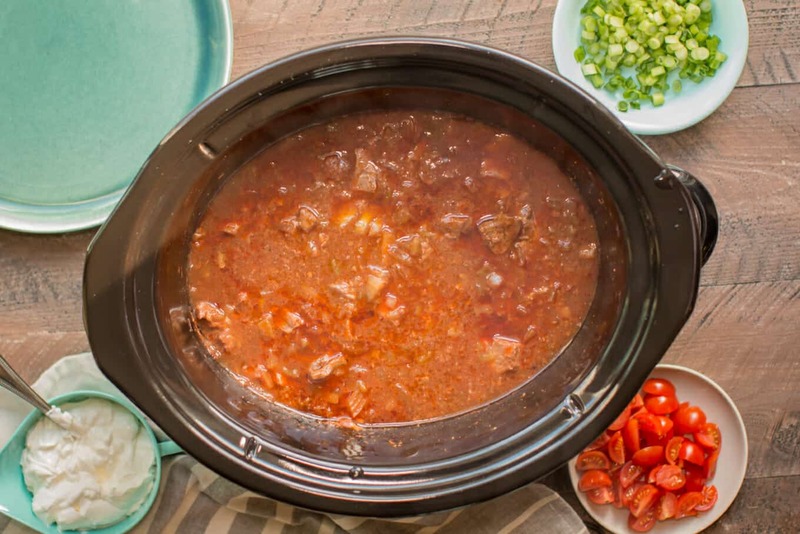 I have it in the crock pot st this time … we don’t eat much beef but after buying the beef , I thought this would be good with chicken your thoughts and I think I would still cook 8 hours too ? 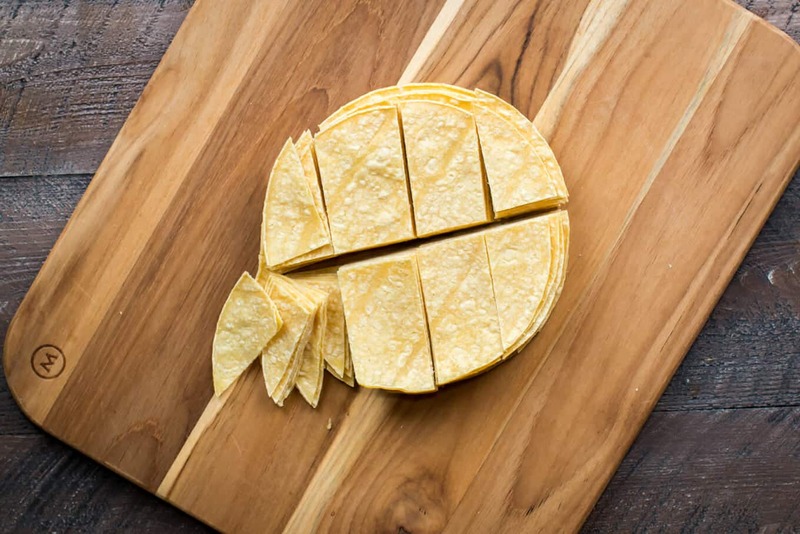 Could you use flour tortillas if you don’t care for soft corn tortillas ? They may get very soggy. I have not tried. Could you cook it on high for less time? Yes! It will do fine. 4-5 hours should work great.